Welcome to the Planet of Success, the community designed to inspire you to live a successful life full of joy, meaning and happiness. It’s the place to meet like-minded people, discover unique strategies to live a successful life and to share your own ideas about being successful in life. Join us on the road to success and in our quest to live life to the fullest! Let’s strive to go beyond our own boundaries to reach out for the unknown. It’s our mission to assist you in realizing your full potential by providing unique, quality, proven and highly-effective advice. We strive to help individuals realize success in all aspects of life. It’s the vision of a better future that makes us get up with excitement each morning. This site is our contribution to make this world a better place. About Steve Mueller: Hi I’m Steve, blogger, student and one of those individuals that live their lives to the fullest, by making the best out of every moment. It has become a great passion of mine to write and publish articles here on this blog, as it helps me to deeply reflect on my life and everything I experience. But even more important: this blog makes it possible for me to empower people all around the world, from all different kinds of backgrounds, which is a true honor to me. This website allows me to accompany individuals on their journey of self-growth and to help them make the fullest out of their lives. Personally, I neither consider myself to be an expert nor a “guru.” I’m just a regular guy with the same problems and challenges everyone else is facing in life, which is – in my opinion – one of the reasons that make this blog so special. The fact that I do not depend on a job as a personal development coach, motivational-speaker or host of a dozen workshops gives me the freedom to remain silent whenever I have nothing important to share with my readership, something not every blogger manages to do. It also allows me to pursue a career in a different area that allows me to draw on the experiences I make in the “real-world”. I’m having a great time helping others develop their lives and enable them to gain maximum profit with all their (undiscovered) abilities. Don’t worry, these are NOT rules for my readership, instead these are the guidelines which I try to follow whenever writing articles for this website. I call them the integrity rules of this blog. #2 Don’t force readers into given directions. #4 Be honest, even if you may hurt a person’s ego. What is the focus of this blog? This blog is focused on personal development in general, which includes personal growth, creating a lifestyle full of joy and happiness, living life to its fullest, thinking outside the box, learning on how to live life more conscious, besides many other very interesting topics. 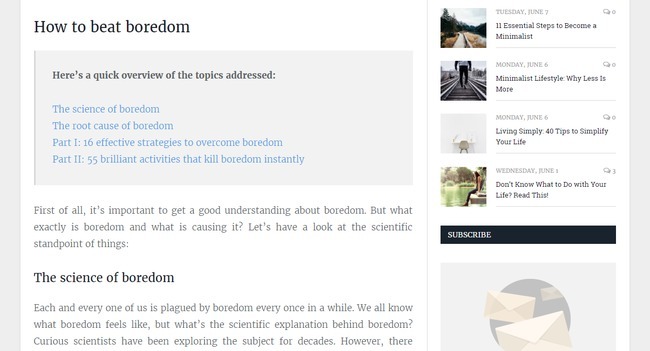 The articles that are published on this blog shall help you to improve various aspects of your life, character and to enhance your skills and abilities, in your personal and professional life (such as time management, stress management, etc.). This blog is all about developing a lifestyle full of joy, success and happiness. We will support you on your way to become the person you always wanted to be and be your companion on your road to success. I would love to assist you with easy understandable, yet effective methods you can implement into your daily lifestyle to improve yourself day after day. 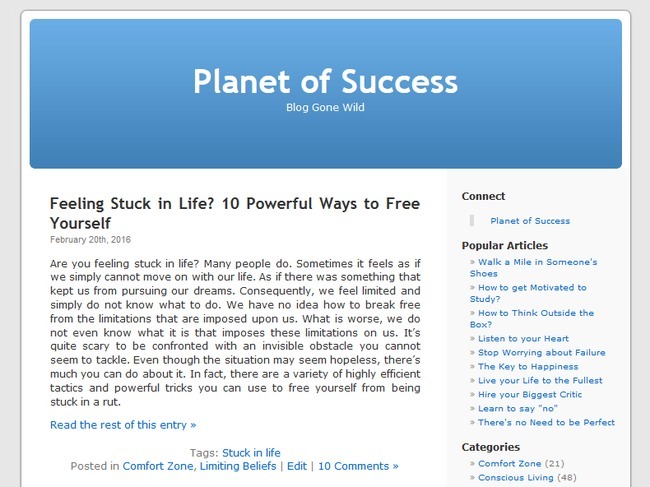 The Planet of Success website was established in 2010. The very first blog post was published in 4th of June in 2010. You can find it here. I had no idea what kind of direction this website would take back then. It was basically just meant as a personal blog where I could reflect upon my life. At that point in time, my writing skills were insufficient, to say the least. When setting this website up, I never imagined that this blog would become what it is today. Functional, simplistic design. Standard template. The design of the website became more professional and user friendly. 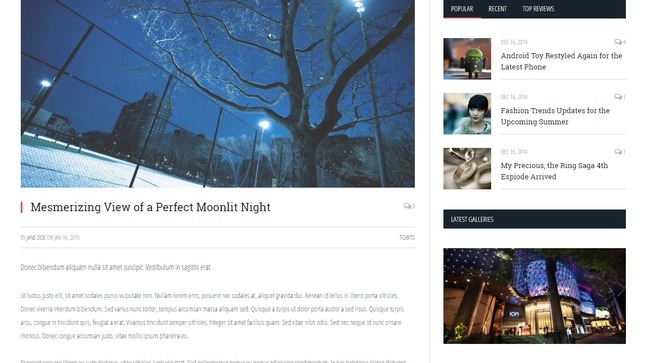 Professional looking magazine theme with increased functionality. This is the original font of the template. As you can see, it’s barely readable. And that’s not because it’s a screenshot, it’s really almost impossible to read. I’m pretty satisfied with the result. The font size is bigger, which increases readability. At the same time, I’ve switched fonts and I feel that the new font looks more elegant. I hope you’ve enjoyed this short ride back into the past of this website.